Having loved Fawkes, I was keen to see what magic Brandes would spin into the tale of Anastasia Romanov, and overall I wasn't disappointed. 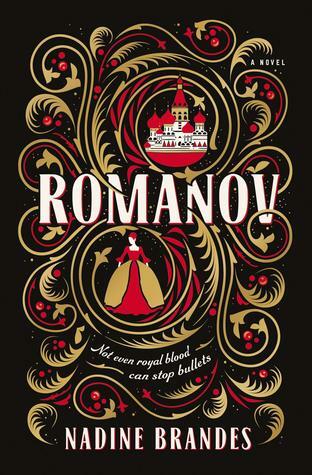 Romanov offers readers a fascinating alternate history of the events that befell the Romanov family after the revolution. The blending of history with magic and fantasy works well, though at the start it is less conspicuous than in Fawkes. I enjoyed the depiction of Anastasia, who came across as a well-developed character, as did Alexei. However, some other members of the family melted into the background a little. I also struggled now and then with the romance between Zash and Anastasia, as I couldn't see on what it was based, unlike the briefer love between Maria and Ivan, which felt natural and real. There was a slight dip in the pacing in the middle of the book, but it soon picked up again, and in general I was always keen to turn the page and discover what would happen next. I don't think Romanov quite had the magic of Fawkes for me. Nonetheless, it was a fun and engaging read that has a lot to offer as is certain to please the YA historical fantasy crowd. 4.5 stars.